Liverpool want to recoup virtually all of the money they spent on Christian Benteke last summer, writes Chris Bascombe in the Telegraph. Brendan Rodgers got his wish in 2015, with the board agreeing to part with £32.5m for the then Aston Villa forward, but the Northern Irishman was sacked just months into Benteke’s Liverpool tenure. Under Rodgers’ replacement Jurgen Klopp, Benteke failed to adapt tactically and stylistically, found himself down the German’s pecking order and is available this window as a result. Palace are interested after being turned down by Michy Batshuayi, but according to Bascombe – Liverpool won’t sell for less than £30m. If we hold out for this sum, it’d be the fourth highest fee we’ve ever received – behind the sums for Luis Suarez, Fernando Torres and Raheem Sterling. It seems ambitious, but when you consider Watford turned down a £25m bid for Troy Deeney, who’s almost 30, a few weeks back – it perhaps isn’t. The market has gone insane, and £30m is no longer the behemoth fee it once was considered. 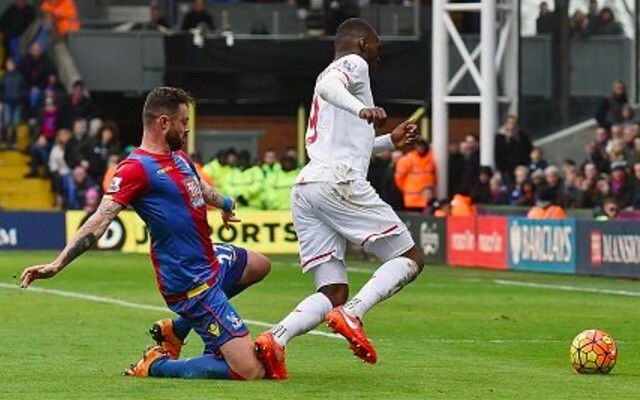 If we get our money back on Benteke it’ll be exceptional business nonetheless. We put our eggs in his basket last summer but had to change tact after switching managers. Palace shouldn’t be considered a direct rival, so we’d rather the Belgian moved to Alan Pardew’s side than West Ham – who could be a genuine Premier League force now they’ve got the Olympic Stadium.